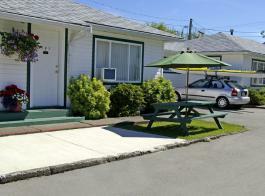 Welcome to our Cottage Style Motel and Campground situated in the heartland of Vancouver Island’s Pacific Rim region. 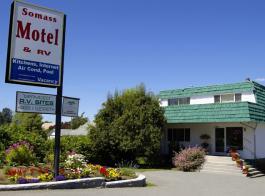 The Somass Motel's mid-island location in Port Alberni makes it the perfect base for day trips throughout the Pacific Rim and Central Vancouver Island areas. Our Trip Advisor Award and reviews are no accident. 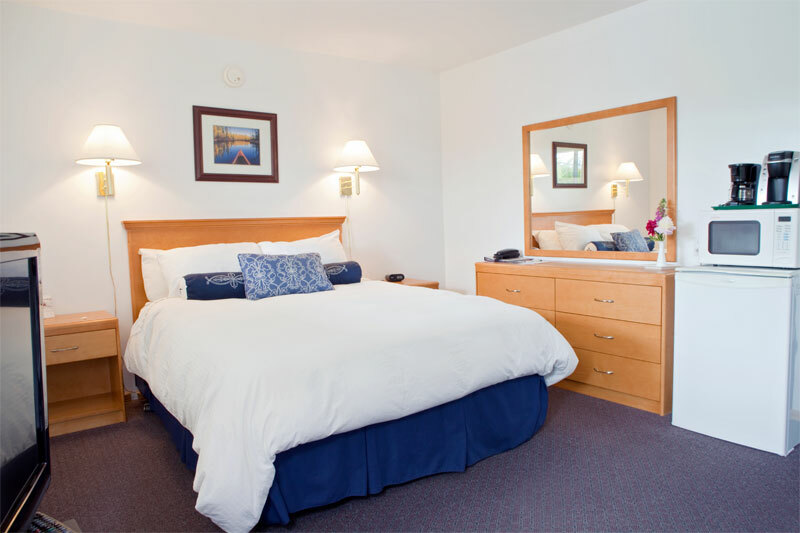 We work hard to ensure your stay with us is as comfortable and enjoyable as possible. 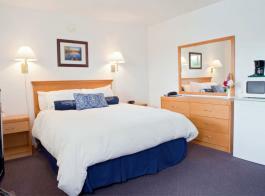 We believe we offer one of the finest motel accommodation properties in Port Alberni. Our free, in-room, amenities rival those of larger, full-service hotels that might charge for the same services. Parking is available right outside your motel room door and we have found that a motel can have certain benefits for sports teams or families traveling with children. We have a seasonal outdoor pool, basketball area and several garden areas where the younger set can expend some of their extra energy. Business clients will appreciate our free wireless internet and guest computer as well as photocopy and fax services. Take some time to cruise the Alberni Inlet on the MV Lady Rose, ride the summer Steam Train to McLean Mill National Historic Site, rent a kayak or take a nature tour or day trip to Pacific Rim National Park. 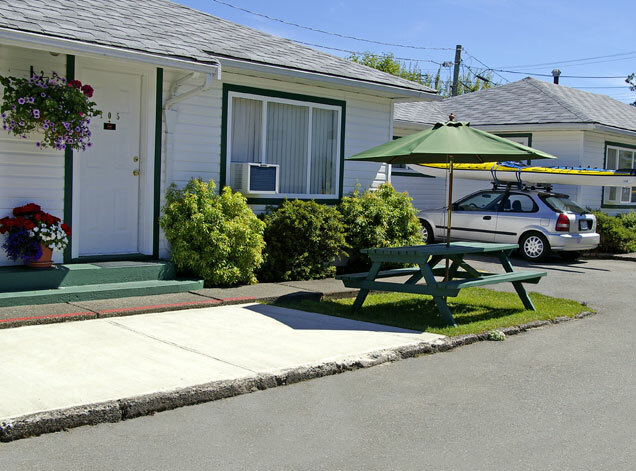 We also have a laundromat, large gas barbeque (great for team or group reservations), garden & picnic areas. We have lots of area information available in our office and do our best to make sure you have the tools to make the most of your visit to our Vancouver Island and Pacific Rim regions. 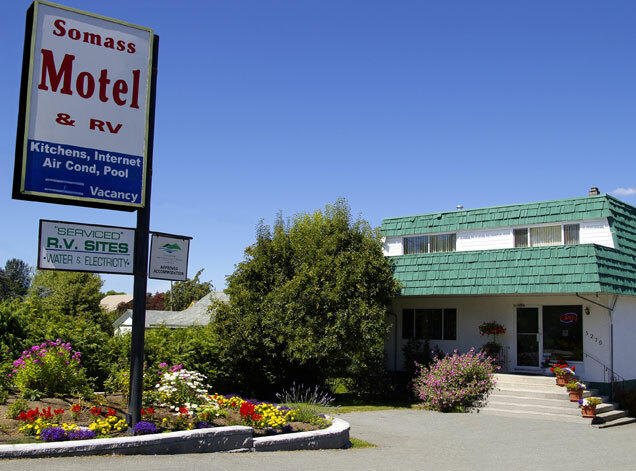 We are confident you will enjoy your stay with us. We invite you to explore our site, check out our variety of rooms and suites to suit your accommodation needs, as well as our other services. See the World’s Largest Flying Boat ever used operationally. ♦ "Steam" Railway: All Summer long. The only commercial steam-operated sawmill in Canada. Watch salmons jumping at Stamp Falls Provincial Park. Alberni Inlet, the longest inlet on Vancouver Island. Take ferry to see the stunning scenery of Barkley Sound. Kayaking at World Famous Broken Group Islands. ♦ Thunder in the Alberni Valley: August 5th & 6th, 2016. One great weekend of hot cars and smoking races. Be there. Sneak peek on TV show. ♦ Salmon Festival and Fishing Derby: September long weekend. Fishing derby and salmon BBQ. Famous fishing town All Year Round.